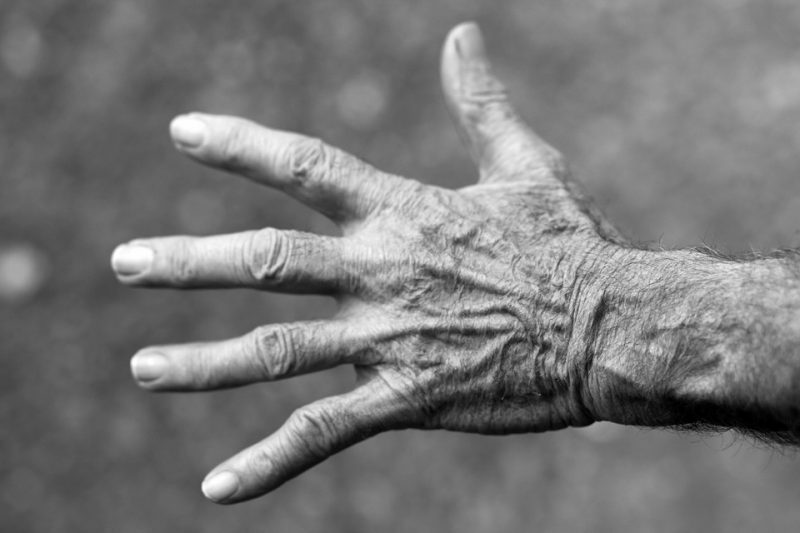 Rheumatoid arthritis (RA) is a systemic inflammatory disease that manifests clinically with polyarthritis and joint destruction. With the development of biologic agents targeting pro-inflammatory cytokines such as TNF, clinical remission has become a primary goal in the treatment of RA. Moreover, structural and functional remission has become possible. In addition to TNF inhibitors, the safety and effectiveness of abatacept, which prevents T-cell activation, have been established in multiple clinical studies. Moreover, AMPLE (Abatacept Versus Adalimumab Comparison in Biologic-Naive RA Subjects with Background Methotrexate) trials which was head to head comparison between abatacept and adalimumab inadequate response to MTX, showed a similar efficacy in both drug. Randomized controlled trials are regarded as a reliable approach to obtain information on the efficacy and safety of drugs. However, the study subjects are selected in Randomized controlled trials. In most cases, elderly and young individuals and those with liver or renal disease are excluded. This limits the applicability of the results on the efficacy and safety of drugs to clinical practice. On the other hand, observational studies typically involve patients who are commonly encountered in daily clinical practice; however, the study participants are subject to selection bias due to the uncontrolled. Therefore, a precise comparison of the effects of a drug is difficult in observational studies. To overcome this issue, statistical methods reducing selection bias have been in the limelight for recent years. Propensity score matching and Inverse Probability of Treatment Weighting (IPTW) are one of the most popular methods to reduce the limitations of observational studies such as selection bias by adjusting for potential confounding factors. However, these methods also have some limitations. Propensity score matching requires a certain number of subjects because matched patients have to be extracted from a primary study population. On the other hand, IPTW have a potential problem to lay emphasis on the unusual cases in the study population. For this reason, it seems to be important to show consistent results by the use of both methods. For these reasons, we conducted the study comparing the efficacy of TNF inhibitors and abatacept in routine practice by a propensity score matching and IPTW. All patients who started treatment with TNF inhibitors (n=620) and abatacept (n=384) between 2010 and 2016 were enrolled in the study. To avoid the impact of previous use of biologics, we compared the clinical efficacy of the two therapies in biologics-naive patients. Data of all biologics-naive patients who started treatment with TNF inhibitors (n=388) and abatacept (n=187) were included. Propensity score matching identified 150 matched pairs of bio-naive patients who were treated with TNF inhibitors or abatacept. These baseline characteristics of the two groups were statistically comparable. The retention rates and clinical efficacies were not significantly different between the two groups. Similarly, the 364 patients treated with TNF inhibitors and 167 patients treated with abatacept were adjusted by IPTW. The disease activities at week 52 in both groups were comparable between two groups, that is, consistent results were shown by the use of IPTW. Our results add support to those of the AMPLE RCT study that showed similar clinical effects for abatacept and adalimumab in RA. Since various inclusion and exclusion criteria are set in randomized controlled trials-designed comparative studies, the results are not necessarily obtained under conditions relevant to routine clinical practice. For instance, the patients enrolled in the AMPLE study were relatively young with a mean age of 50 years, and mean disease duration of less than 2 years. Compared to AMPLE study, our study included older patients with more established RA who had a mean age of 60 years and mean disease duration of 9 years, showing that the clinical effects of abatacept and adalimumab are also similar in patients more often encountered in routine practice, especially in bio-naive patients. On the other hand, this statistical methodology has a potential problem. Hidden bias is inevitable because the propensity score analysis controls only for observed and measured covariates. It is possible that the results obtained in this study might be changed by the future discovery of new confounding factors. In this reason, we also have to realize the methodological quality of evidence derived from cohort studies is lower than that of evidence derived from randomized trials, even though the propensity score matching reduce selection biases. In conclusion, this study showed that TNF inhibitors and abatacept are similar in terms of clinical efficacy, especially in bio-naive patients. This was confirmed by direct comparison of the two drugs in routine clinical practice and corroborated results in AMPLE study. In recent years, selecting among different biologics has been recognized as an important issue for the treatment of RA. However, sufficient evidence to differentiate among these drugs is as yet lacking. We hope that studies using this statistical method will help to establish evidence derived from routine clinical practice in the rheumatology. These findings are described in the article entitled, Comparison of efficacy of TNF inhibitors and abatacept in patients with rheumatoid arthritis; Adjusted with propensity score matching, recently published in the journal Clinical Immunology. This work was conducted by Satoshi Kubo, Shingo Nakayamada, Kazuhisa Nakano, Norifumi Sawamukai, Shintaro Hirata, Kentaro Hanami, Kazuyoshi Saito, and Yoshiya Tanaka from the University of Occupational and Environmental Health. Satoshi Kubo is a researcher affiliated with the University of Occupational and Environmental Health, Japan in The First Department of Internal Medicine. Their research focuses primarily on the diagnosis and treatment of patients with rheumatoid arthritis. Previous Post« Previous When Is Hawaii’s Hurricane Season?